is much more than a furniture line. It’s a system that grants a second life not only to scraps and debris, specifically those left in the wake of Typhoon Haiyan, but an income for the people affected by it. I repurpose the discarded remains of someone’s home, and with the skills and labor from the locals, give it new life in yours. 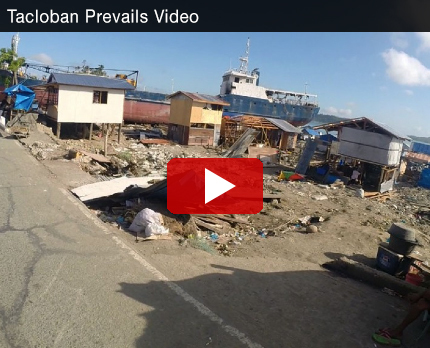 After Typhoon Haiyan hit the Philippines, trees fell, houses crumbled, and towns disappeared. Now is the time to rebuilding by optimistically looking into the future and spot opportunities for economic development. During my visit to Tacloban I saw a silver lining in the heart-wrenching wreckage and chaos. All the scrap wood that some might consider destroyed was a myopic waste of good material. I decided to buy from the locals materials they would have otherwise thrown away, hire them for the inicial building process and, together turn it into furniture with a soul - Furniture infused with a history of courage and resilience. Through this project you can be a part of the revival of the Tacloban community. Join the “Tacloban Prevails” project, that supports the production of furniture with a conscience, a heart and a story to tell.